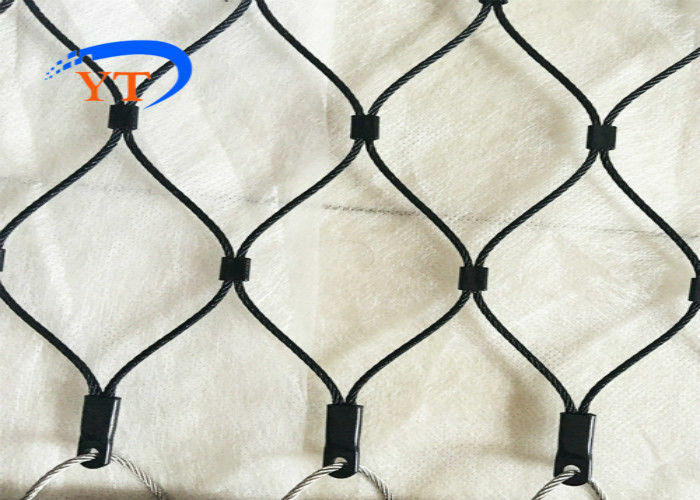 The flexible stainless steel cable mesh ferrule type is rhombus mesh, has excellent flexible performance, virtually indestructible, most impacting-resistant and breaking resistant force, most resisting rain, snow, hurricane. As the material is virtually indestructible stainless steel, then it can be safely contain any species on land, in the air indoors or out. And the weave opening,we can infinitely customizable to meet your exhibits exact specifications. No matter how large, how small, or how cunning you specimens are, we assure their complete security. 1. High strength, strong toughness, free angles curving and fold, easy for transportation and installment. 2. It can bear heavy snow and glae. 3. Without toxic material, safety, environmental protection. 1). 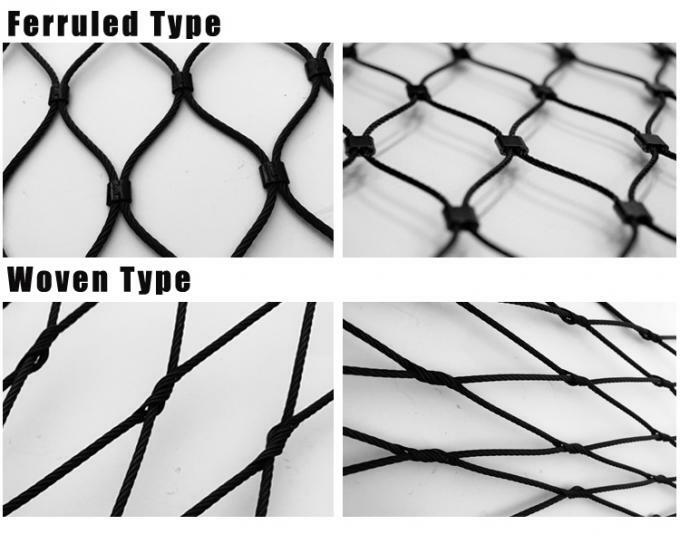 Woven mesh is a kind of plain weave, each warp wire rope crosses alternately above and below each weft wire rope. Warp and weft wire ropes generally have the same diameter.